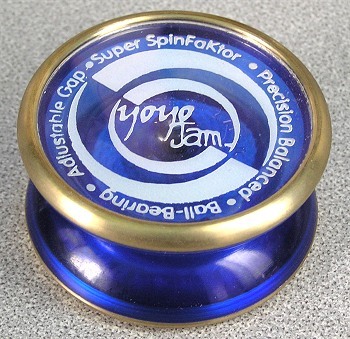 The Super SpinFaktor was a big innovation for YoYoJam. The first model to show off their improved composite body design, which was used in most of their releases after this one. The weight ring moved 80% of the body weight to the rim, for LONG spins. The next step in the evolution from the SpinFaktor, which did have weight rings, but in a simpler configuration. 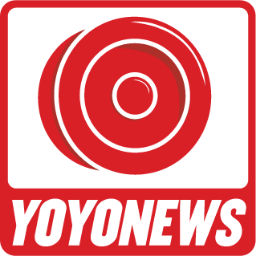 Bearing axle, take apart design, adjustable gap. While this design technically has no response system, recessed molding holes around the axle do act as a very weak starburst. The dark blue pictured was a later release, from summer of 2004.